With a guide to common sleeping positions and their pros and cons you can take power over your power naps; Many of us have been there, unable to work out why that one sleeping position sends us drifting while others put dead legs, sore necks and more troublesome obstacles between us and our Z’s. You may be lucky enough to hop into bed without much thought about how to get comfortable. Even if this is the case, it is still great to know how the position you sleep in affects your body. If you are cosiest sleeping on your stomach, it’s not all good news! Whilst your partner may thank you for reducing chances of snoring, your body might not be so grateful. “many people who sleep on their stomach experience some kind of pain – whether it is in their joints, back, or neck” –The Sleep Advisor. Whilst in this sleeping position, spinal alignment may be adversely affected and this is due to the uneven distribution of weight along the spine and twisting of the neck. Damage can happen over time, so even if you wake up feeling refreshed and supple, longer-term effects might pop up later in life. Being that back pain and joint pains make up the second and third most common reasons to visit your GP (As found by the Mayo Clinic survey) it is important to take preventative measures. Having great posture while sitting at your desk or doing regular stretches are fantastic, but a great deal of damage can be done overnight. It may, therefore, be worth training yourself out of this sleeping position. Back sleepers are far less likely to experience these aches and pains as the spine is considerably more neutral. Furthermore, elevation of your head and neck aids digestion, reducing common issues such as acid reflux. Whilst the health benefits of sleeping on your back are fantastic, these may not be attractive enough to sway you from a more comfortable position. Under 10% of people favour back sleeping as it doesn’t offer the security and cosiness of being curled up. By far the most popular choice, over 60% of people sleep on their side or in the foetal sleeping position. This is an ideal choice from a health perspective, as it promotes a similarly neutral spine, sharing many of the benefits of sleeping faced up. With nothing weighing down on your back, you can rest easy and not feel those morning strains. Sleeping like this may put pressure on one side of your body, creating an unnatural angle for your hips in particular. 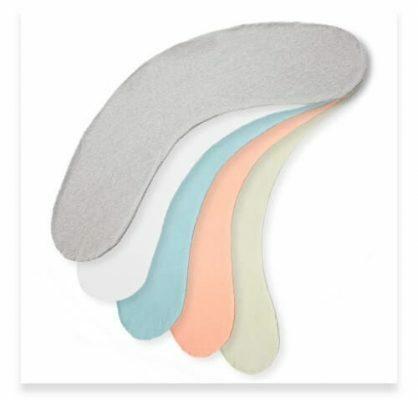 Many leading osteopaths suggest placing a pillow between the knees to neutralise this imbalance, but a better and more complete solution may be found in our Kally Pillow. With a product specifically designed for this, it is the perfect way to turn side sleeping into the healthiest choice for you. If you are cosiest curled up, you may feel some pressure from your top arm. 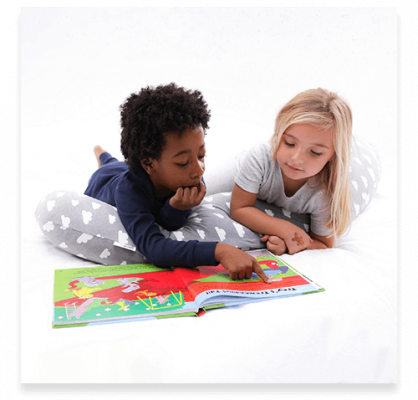 The ergonomically designed Kally Pillow provides equal lift for shoulder and neck as it does your knees and ankles, opening up your breathing. You can breathe deeper whilst limiting the snore that might occur with back sleeping. The only downside to our Kally Pillow? It’s going to make your alarm’s snooze button look so much more tempting! Sleeping for two? Whatever your usual sleeping position, pregnancy can play havoc with a comfortable night. You will probably naturally switch to side sleeping for comfort, but it is great to know this is also your healthiest choice. 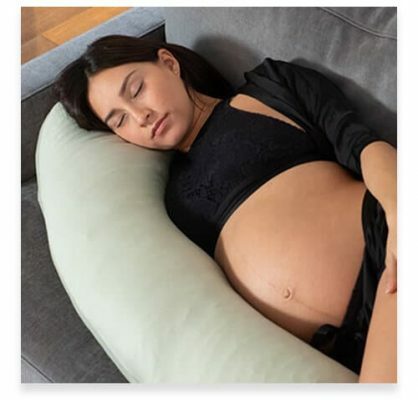 “it improves circulation in your body and in the foetus, and it prevents your uterus from pressing against your liver” –The National Sleep Foundation. Our Kally Pillow is the perfect full body support during these months, cradling you and your little one when a good night’s sleep is most difficult to come by.